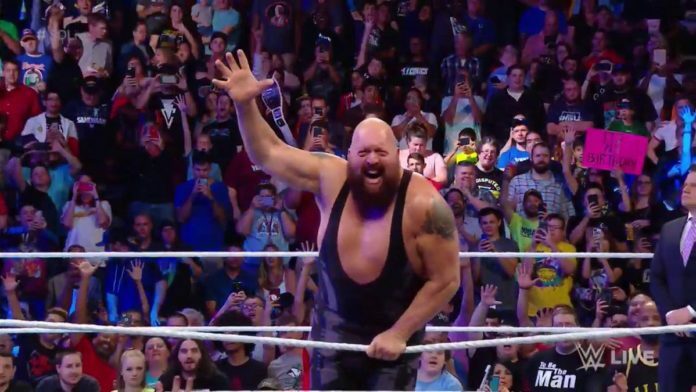 The Big Show has made his return to in-ring action. As seen on this week’s episode of SmackDown Live in Indianapolis, IN at the Bankers Life Fieldhouse on the USA Network, Randy Orton beat The Big Show in a world cup qualifying match. For those who may not know, this match marked the first time that they have gone one-on-one in a match in three years. It also marked the first match that Show worked in over a year. After being with the company for nearly 20-years, the veteran has racked up some major accomplishments during his career which will no doubt earn him a spot in the sports entertainment company’s Hall of Fame. In September 2017 during an episode of Monday Night RAW in Omaha, NE at the CenturyLink Center, Braun Strowman defeated The Big Show in a Steel Cage match in the main event. After the match, Strowman power slammed Show through the cage, which part of it broke to close the show. The reason for this spot was to write Show off of television due to him undergoing hip surgery, which was successfully done on September 29th. WWE reportedly wanted to have The Big Show in the fifty-man Royal Rumble match at the Greatest Royal Rumble event. That didn’t happen as Show suffered a new injury around three weeks before the show while training to return from his hip surgery.